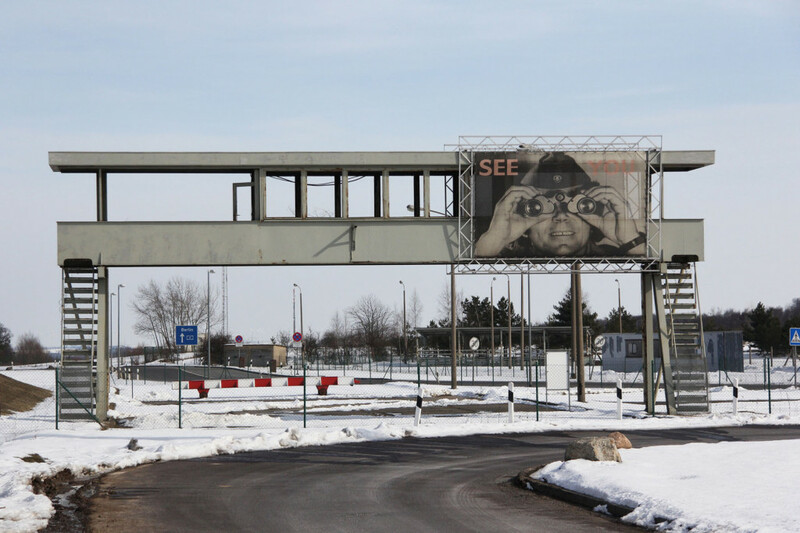 To West Germans it was Kontrollpunkt Helmstedt, to East Germans, Grenzübergangsstelle Marienborn, but outside Germany, the inner German border crossing point was most commonly referred to by the name given to it by the Allied powers, Checkpoint Alpha. 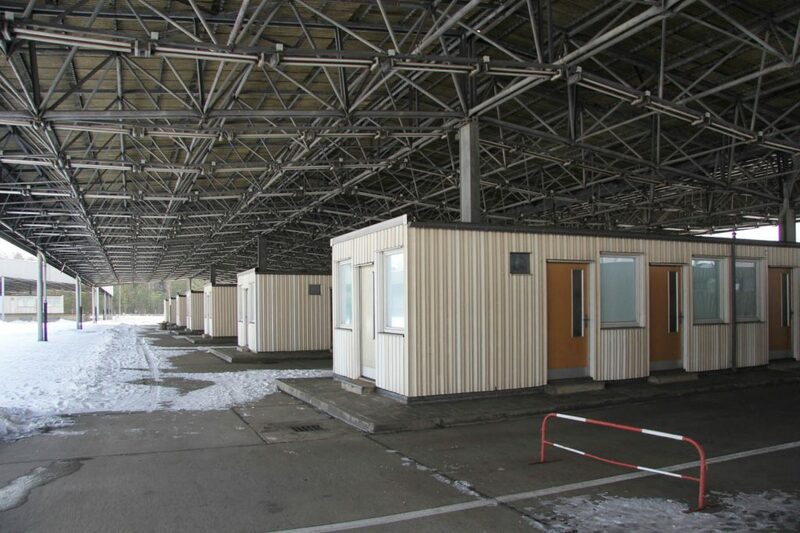 Note: While Checkpoint Alpha was only officially the name of the West German checkpoint at Helmstedt, for the sake of simplicity I will use the term to refer to the border crossing Helmstedt-Marienborn as a whole. 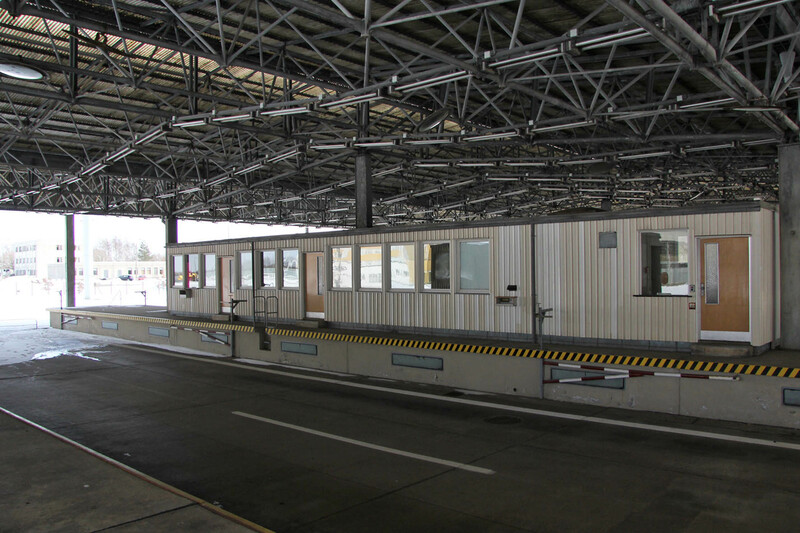 The checkpoint marked the beginning or end of a 170km (110 mile) drive along a walled or fenced motorway through East Germany with no available exits for travellers between West Germany and West Berlin or vice versa. Having spoken to German friends about journeys along the transit road I think the following quote from Philip Hensher’s Berlin novel, Pleasured sums up what was an unpleasant and unsettling experience. …it was a frightening road. The temporary blocks on the road surface, laid coarsely next to each other, made the car thud with the regularity of a muffled ticking clock, not soporifically, but angrily. The bumpy ride and claustrophobic route weren’t the end of the ordeal though. Crossing inspections were nerve-racking affairs even for those who knew that they had done nothing wrong. Border guards could be painstakingly thorough in their searches, which meant long waits and sometimes a car being taken to pieces (and possibly left that way). The first Allied control point at Helmstedt was opened on 1 July 1945 between the British and Soviet zones. 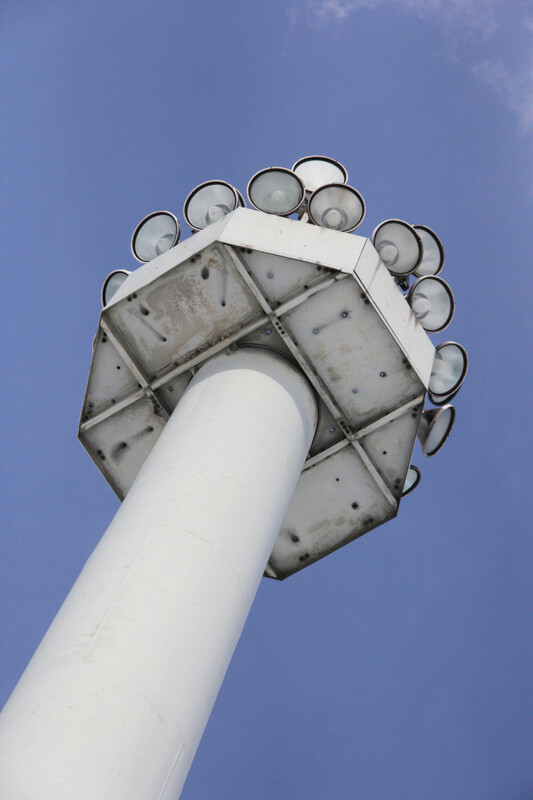 An expanded control area was built by East Germany in 1972 on a 35-hectare site near Marienborn. Around 1,000 people worked here – passport control and custom officers, East German border troops and civilian employees. 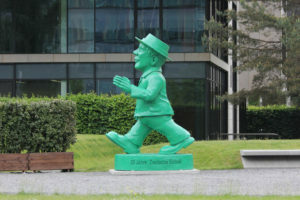 45 years after it first opened, the border crossing officially ceased controls when the social and economic systems of East and West Germany were united on 1 July 1990. 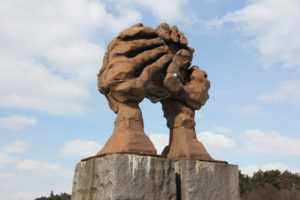 The Memorial to the Division of Germany in Marienborn (Gedenkstätte Deutsche Teilung Marienborn) was opened on the site of the former East German control point at Checkpoint Alpha in 1996. It is intended as a place of remembrance and education. 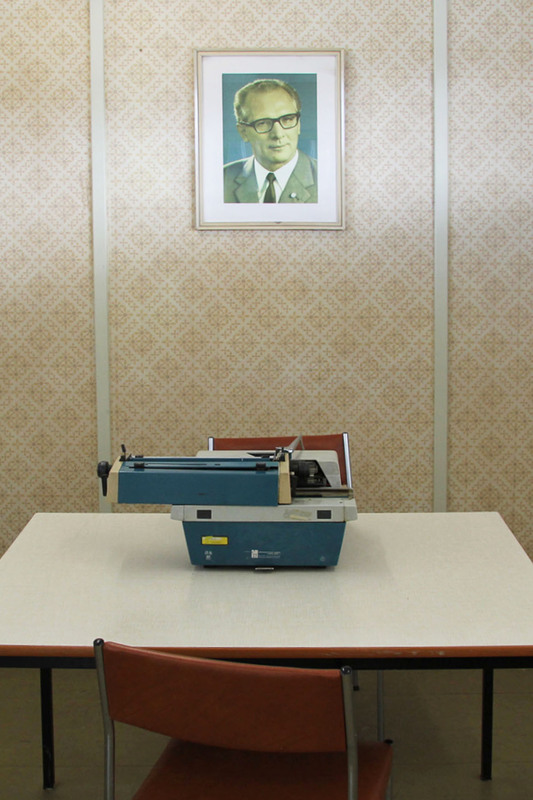 The former main office building now houses a permanent exhibition – The GDR Marienborn Border Crossing: Bulwark, Eye of the Needle, Seismograph – made up of film and photo exhibits, documents and objects of interest. 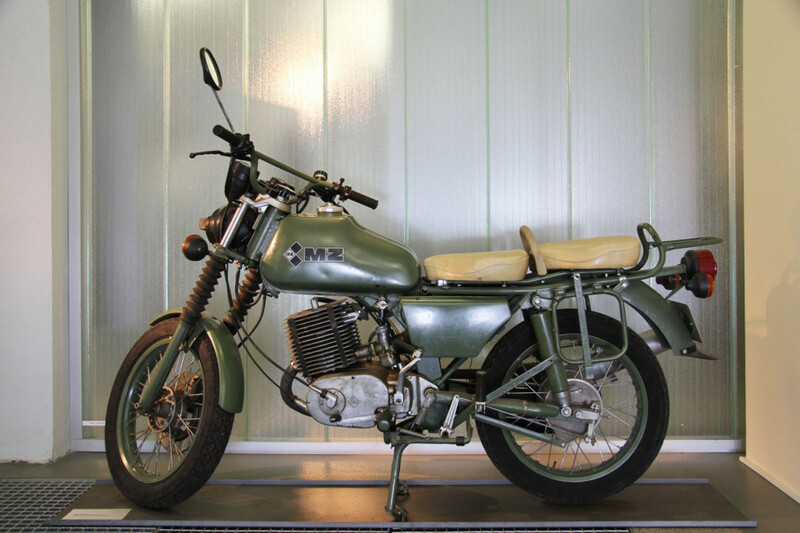 There is another exhibition, Customs of the GDR, which focuses on the technical process for customs checks at the border crossing, in the former customs control area. 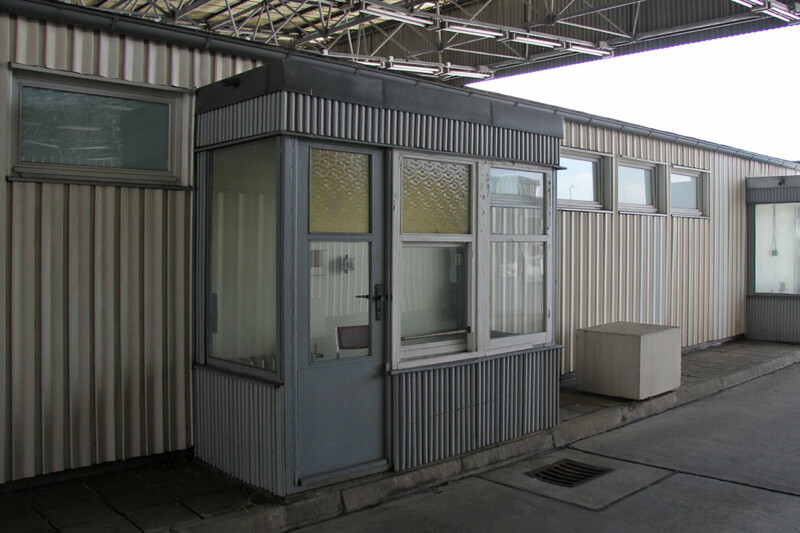 Additional points of interest include the car entry area and passport control, the control tower and the inspection garage. The Grenzdenkmal Hötensbleben – a 350m long border memorial 18km to the south – was incorporated into the Gedenkstätte Deutsche Teilung Marienborn in 2004 (more on that in a future post). 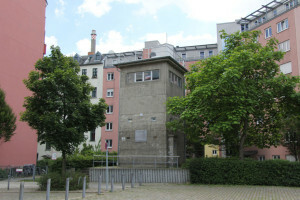 The checkpoint at Helmstedt-Marienborn, along with its counterparts in Berlin, Checkoint Bravo at Dreilinden and Checkpoint Charlie on Friedrichstrasse, was one of the most important border crossings of the Cold War. 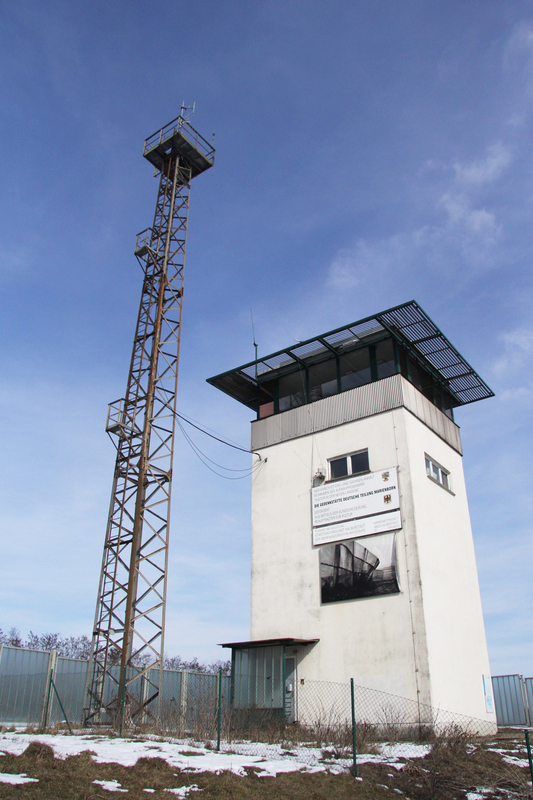 The Memorial to the Division of Germany in Marienborn at the former Checkpoint Alpha is open Tuesday to Sunday 10:00 to 17:00 (check the website for current opening hours) and presents a valuable reminder of the infrastructure that was required to control history’s most notorious border. I just finished ” The Berlin Wall,” by Frederick Taylor, and parts of it reminded me of the trip friends and I–all teachers at Heidelberg American High School– took in 1964 at Easter time (as I recall) from Heidelberg to Berlin via Helmstedt. The experience was truly memorable–and pretty nerve-wracking. The American MP’s at Helmstedt prepared us for driving the Autobahn to Berlin, at 40 mph! We were told the time we should reach Berlin (based on the time we left Helmstedt) and warned that if we reached Checkpoint Bravo too soon, we would receive a speeding ticket, as that would be proof that we had exceeded the 40 mph speed limit. On the other hand, if we didn’t check in at Checkpoint Bravo at the appointed time, the military police would come looking for us. I think the speed limit was so low because the American forces did not want the East Germans to have an excuse for ticketing us. The MP’s recorded our odometer readings, and we were told not to leave the Autobahn for any reason, and we were shown slides of the two Autobahn exits we would encounter and were given our odometer readings at those exits with firm instructions not to leave the Autobahn at those exits. 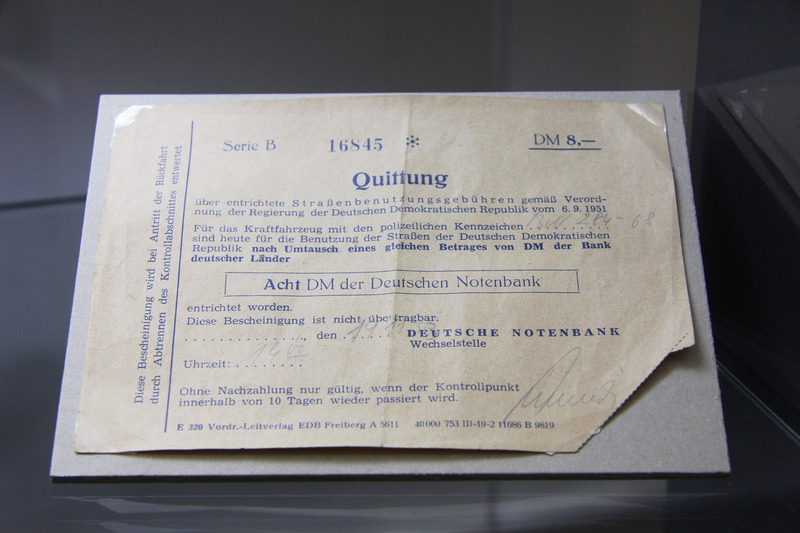 We were given a packet of papers and instructed that if we were stopped by the Polizei we should give the packet to a passing West German or American car. 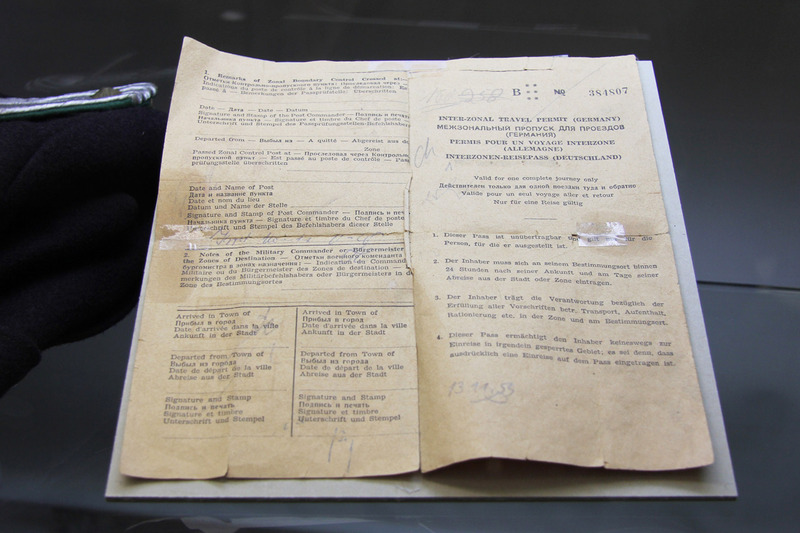 We were also told that we should insist on speaking to a Russian officer, not to East German police, the reason being that the US did not officially recognize East Germany at the time. All went well, and we had no problems reaching Berlin, but the leadup to the trip was pretty impressive. Mixing the civilian (East & West German) and military (US/UK/FR/USSR) checkpoints gives a totally confusing and inaccurate portrait, because no traveler used both the military and civilian checkpoints. 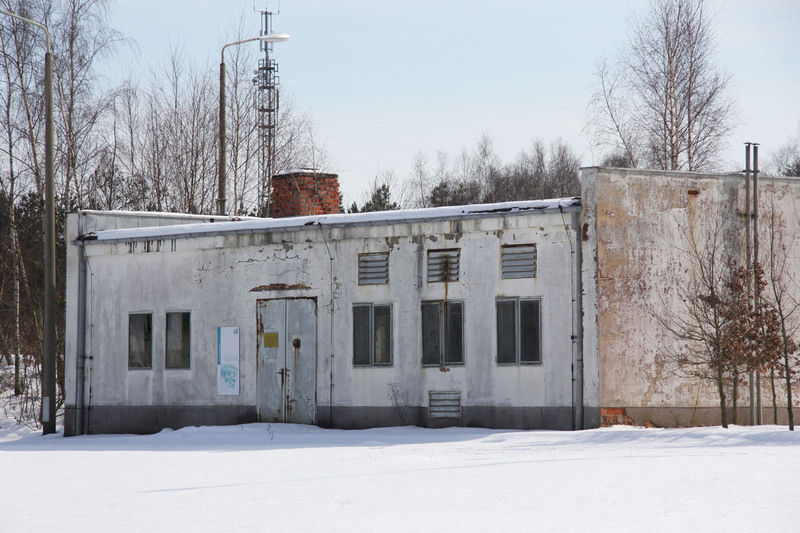 No one (other than the author here) ever referred to either of the civilian processing centers as “Checkpoint Alpha” — and no one ever called the Soviet military checkpoint by that name either. The name Checkpoint Alpha was consistently applied to the combined “Allied” (US, British, & French) facility. Although each nation’s military travelers were processed by military personnel from their own country, all three were always co-located in a single facility within a few feet of the border. I can’t speak for the entire fifty-odd years of the Autobahn Corridor, but I will say that the description offered here is considerably more bleak and depressing than the actual roadway, at least as of the early 1980’s when I was NCOIC of the US Helmstedt Support Detachment traveled that road regularly. The road was only “fenced” to the same extent as any ‘autobahn’ was fenced. The road surface wasn’t up to the best US or European highway standards, but it was well maintained. While military travelers were not authorized to use any of the exits, there certainly were exits at many points along the road – in fact, one of the problems occasionally encountered was when a military traveler would use of the exits – sometimes this caused the traveler to encounter East German police, other times the traveler might make it back onto the autobahn corridor and no one would know unless the traveler mentioned it when processing through the checkpoint. Processing in the 1980’s was a bit less formal than what Ms Coffey described of her trip in 1964. By then we were no longer recording odometer readings, and the minimum time for the trip was down to 2 hours, allowing a somewhat quicker trip. The rest of the instructions were still the same, although repeat travelers generally didn’t get the whole speech. Overall the trip by road was comfortable enough — although I still preferred to make the trip by rail using the British duty train which ran in the daytime as opposed to the US duty train that made the crossing in the middle of the night. If I may I would like to put my twopenny worth in. I was a young British MP who worked at Allied checkpoint Alpha between July 1965 to May 1968. I have been carrying some research in readiness to celebrate the 30th anniversary of the final closure of Checkpoint Alpha in 2020. We have considered that as us youngsters of the sixties are now in our 70’s this would be a final one off chance for us survivors of this period of the Cold War to get together. I certainly remember the area surrounding the checkpoint was pretty bleak in Winter put was not so in the Summer. The imposed speed limit described by Margaret Coffey did not apply to British or French travellers. A minimum time limit of 2 hours and maximum of 4 hours was applied instead. Folk lore however has it that the minimum time taken and an unsubstantiated record was circa 58 minutes including processing by both Russian checkpoints. This illegal time was by a US lady in British E type Jaguar. 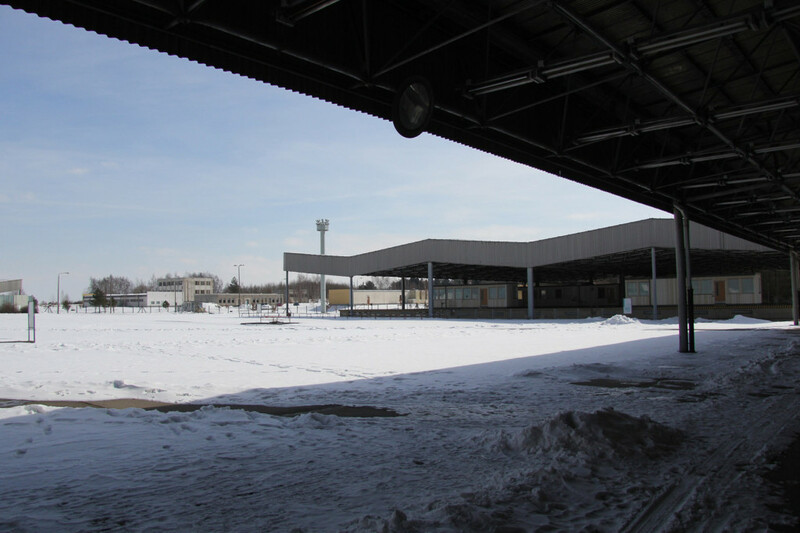 I to visited the site of the former Marienborn checkpoint museum Whilst much of it still exists it bears no resemblance to said checkpoint of my era. 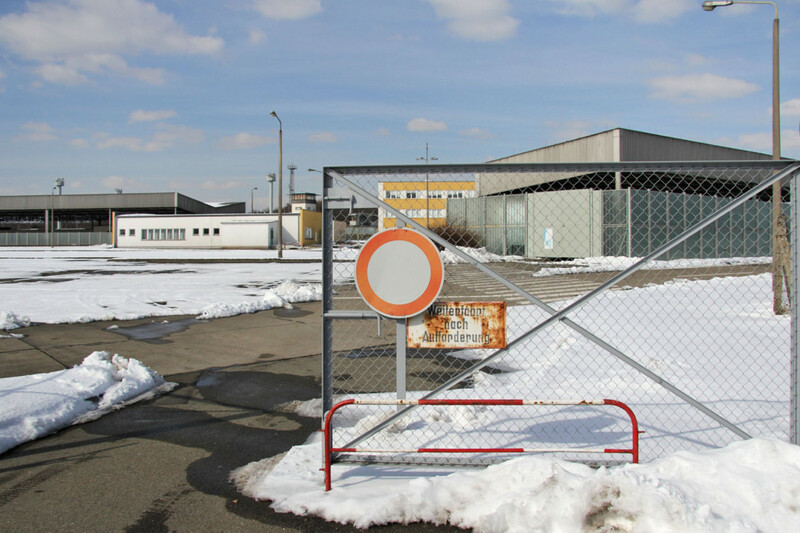 It was as I understand from the archivist of the Helmstedt zonal border museum had been moved from the original location on the border to its new location so its operation could not be seen from the West. The checkpoint Alpha of my period, which at the time was located on the central reservation of the autobahn was I am told demolished when the autobahn was realigned. I am sorry I cannot add specific dates as I am still carrying out research. Happy to contribute further if required.